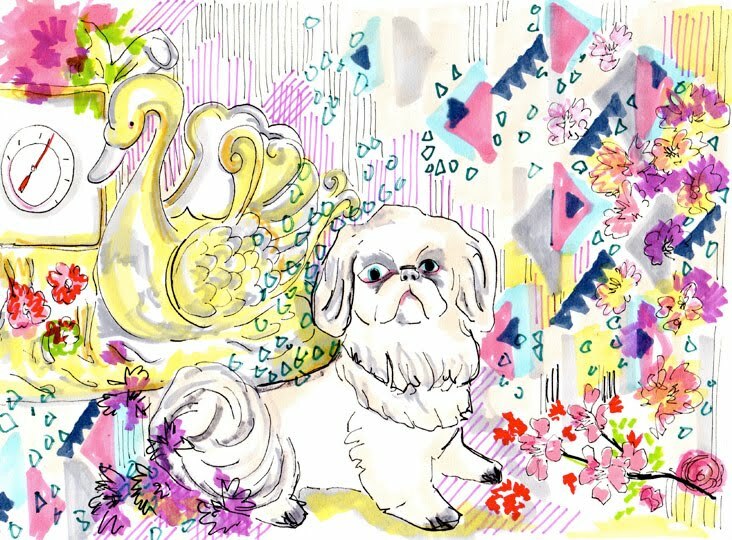 April 16, 2012 in "Beethoven", "Prague", "The Fall", "dogs", "illustration", "jewels"
Just a quick hello and sketch to start the week. Prague was lovely, great company, great beer and beautiful buildings. Discovered the work of Shirana Shahbazi. Here's a Spaniel with some jewels for you.